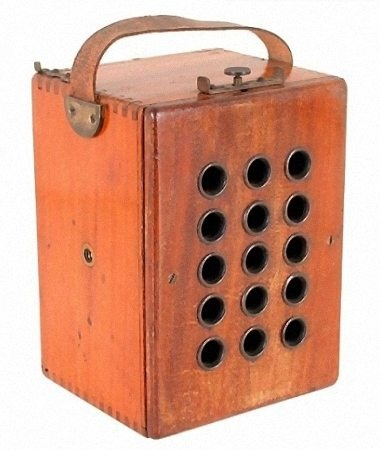 The No.2 Stereo Brownie was introduced in 1905 and discontinued in 1910. 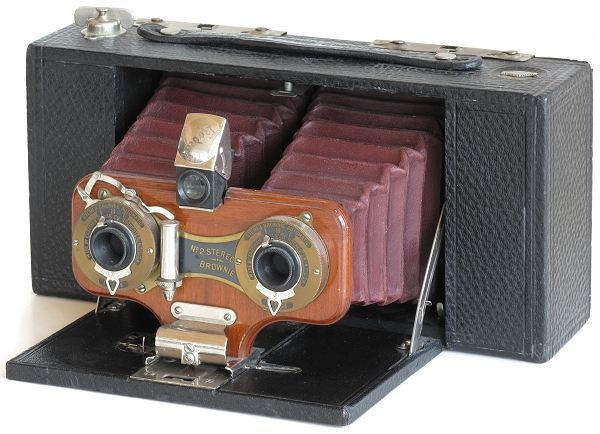 Early models used a Brownie Automatic Shutter which was replaced with a Pocket Automatic Shutter from 1906 on. Two meniscus achromat lenses were used to make a pair of 3-1/4 x 2-1/2 images on 125 rollfilm. Approximately 4,000 were made. Original list price was $12 in 1905, or about $228 in year 2000 dollars. Stereo Brownies have a very distinctive appearance with its twin red bellows and large polished wood face. Eastman Kodak Company, Rochester, NY.